Australia is one of the most popular destinations for migrants due to its strong economic climate, excellent quality of life and good employment opportunities. Although obtaining a visa is not always a straightforward process, this article helps you to find out if you are eligible to apply, and shows you how to get work permit for Australia. The most common work permit under which immigrants can come to Australia is the skilled migration visa. In order to be eligible under this category, you must already possess a certain set of shortage skills or have certain qualifications that Australia requires. You must also already be able to speak a good standard of English. Depending on your experience and area of expertise you may be able to apply to the Australian government directly for a visa; otherwise you will have already had to receive a job offer from an Australian company as they will act as your sponsor in the application process. There are different skills shortages in each of the Australian states, so if you are prepared to live in a particular region of the country, this may stand you in better stead. Before applying for a work permit, you must first score no less the 65 points on the Australian points system. Points are given for your field of employment, your age, your language skills, your qualifications, your spouse's skills and extra points are given for any Australian qualifications or work experience that you have. If your nominated occupation is one Skilled Occupations List, the first stage of applying for an Australian work permit is to lodge an expression of interest with the Skill Select program. This shows the government that you are interested in being considered for work in Australia and is not as yet a full visa application. You must provide your personal details along with your occupation, experience in the industry, your educational qualifications, your English language skills and details of a skills assessment as relating to your chosen employment. 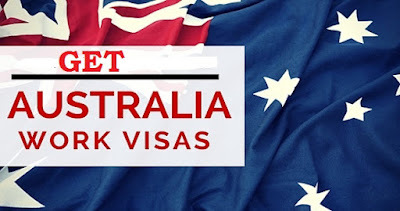 You may then be invited by the Australian government to apply for a work permit or you may be selected by an Australian employer and asked to apply for a visa. If you do receive an invitation to apply for a work permit, you must then lodge your application within a period of 60 days. You can apply online but must submit the correct fee and submit all the relevant paperwork to back up your application including evidence of employment, qualifications, financial information etc. If you cannot apply under the skilled worker category as your chosen employment is not listed on the SOL, you can still apply for a work permit in Australia if you can find sponsorship from an Australian business. This means you must apply for a job in Australia in your home country and be successfully offered a position. Once you have secured an offer of employment, you can then apply for a 457 Work Visa. In order to apply successfully you must have a good standard of spoken and written English, have relevant qualifications for the position in question, have a good medical record, be in possession of health insurance and you must also meet the relevant character requirements which will be assessed through a thorough background check.